NCRUG are extremely pleased that the "Railway Totem" at Station Avenue - Helsby has been overhauled over the weekend of 21/22nd November. Co-operation between Cheshire West & Cheshire Council and Arriva Trains Wales enabled the work to be undertaken over the weekend. 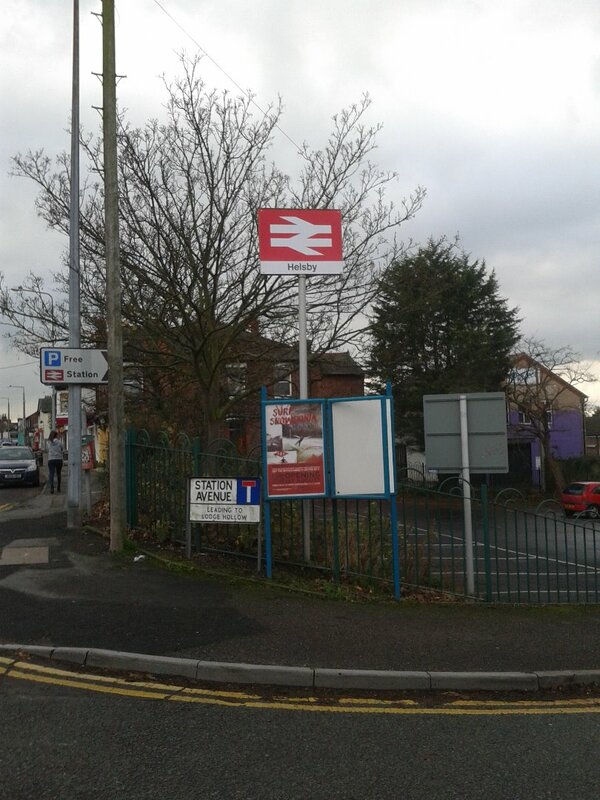 This now shows where the station is located and is also a high profile improvement to the village streetscape and shows that Helsby is on the railway map and open for business.